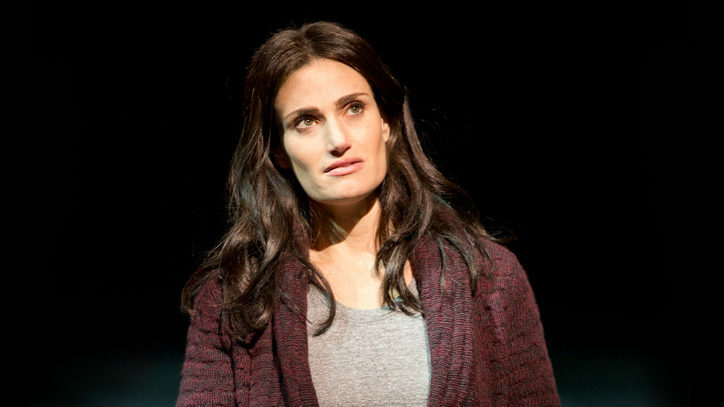 Here’s some advice to the hordes of theatergoers who will see Fun Home when it starts performances on Broadway in March: Don’t be afraid to wait at the stage door for stars Michael Cerveris and Judy Kuhn. They’ll be more than pleased to meet and talk with you. They’ve had plenty of experience, for when Fun Home played its wildly acclaimed, sold-out run at the Public Theater in late 2013, dozens upon dozens of fans approached them after the show to tell them what a glorious time they’d had. It was bit easier there. The Public Theater doesn’t have a stage door, so Cerveris and Kuhn took their leave by sauntering through the lobby. There, to their delight, came the appreciative crowds to talk about the funny, charming, and incisive production they’d just seen. Cerveris plays Bruce and Kuhn is his wife, Helen. They were a real-life Pennsylvania couple whose one daughter, Alison Bechdel, wrote the 2006 graphic novel Fun Home on which the musical is based. The family lives above a funeral home, where Bruce is an undertaker. As a result, Alison and brothers Christian and John have long been inured to playing downstairs among the coffins. Helen doesn’t mind as long as they keep their toys out of the way, for Bruce likes everything well-organized. Easier said than done, of course. There are plenty of surprises that won’t be divulged here, but many of them peppered throughout the plot spurred the attendees at the Public to stay around and talk. Her faith was not misplaced. 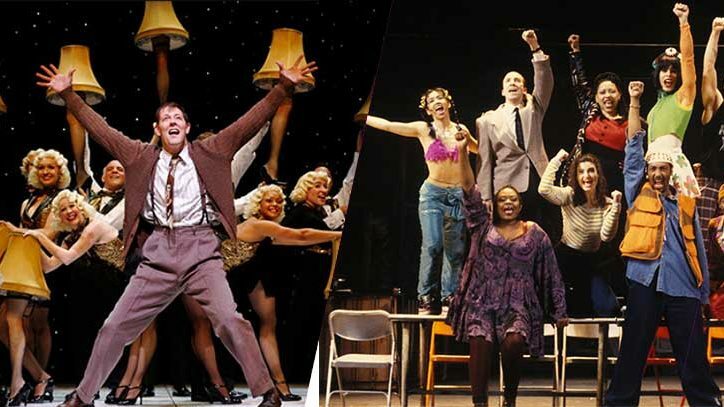 Fun Home received a Best Musical Drama Desk nomination as well as nods for Tesori’s music, Kron’s book and lyrics, and Gold’s direction. It also was a finalist for the Pulitzer Prize, which is a rarity for a musical. So theatergoers who saw it at the Public or who have the already-released original cast album will see a few changes — including the addition of Emily Skeggs, who took over from Alexandra Socha as Medium Alison. No, Medium Alison doesn’t pull out a Ouija board or try to communicate with the long dead. Fun Home uses a trio of actresses to portray Bechdel at three different stages of her life. 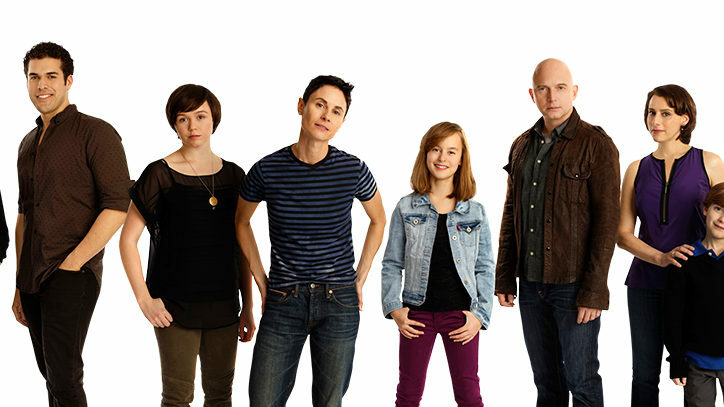 So Skeggs appears between Small Alison (Sydney Lucas) and the adult version, who’s simply named Alison (Beth Malone). We see the seeds sown for the adult Alison. Small Alison takes a shine to a delivery woman and her ring of keys that suggests every door is open to her. Medium Alison makes a best friend (and then some) with Joan, a college classmate who helps Alison to learn who she really is. En route, Bruce learns that too, leading to an unexpected conclusion. Not everyone who met Kuhn in the lobby was solely interested in discussing what they’d just seen. Some were fans who’d been smitten with her for two solid decades. The role is a departure for Cerveris, who isn’t a parent and rarely finds himself portraying a dad. “Even when I reached the right age, I was seldom was chosen to play one,” says the 54-year-old before he remembers and realizes, “Well, Sweeney Todd was a father,” citing the role that got him his third of five Tony nominations. There’s no record that Bruce cared for Sondheim, but he and Cerveris almost have one thing in common: Bruce liked to rummage around trash cans to find what he inferred were “old treasures”; Cerveris does it in a more rarefied way by trolling eBay — although his motivation isn’t collecting for fun or profit. He’ll have plenty of chances to deepen his character, for Fun Home is poised to be a sharp contender for multiple Tony Awards. And can we have a recount on that Pulitzer too?